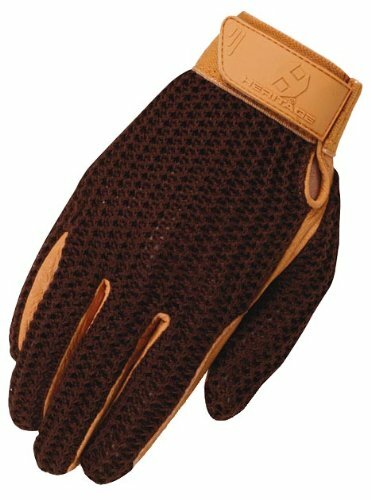 Heritage Crochet Riding Gloves, Size 6, Brown/Tan | What Should I Say? The crochet riding glove is our classic style glove for warm weather riding. Soft cotton mesh top and genuine leather palm makes this a good all around glove for schooling or pleasure riding. Leather palm construction for soft and natural grip on reins. Double leather reinforced index finger and thumb for durability. Soft mesh cotton top for total ventilation.